25 Years of Trolleybus Transport | Dopravní podnik města České Budějovice, a.s.
No other type of means of transport intended for the public transport of persons has such a troubled history as trolleybus. In more than a hundred years of existence, it experienced several periods of rapid development, followed by periods of massive downturn. And in the example of České Budějovice, the history of this ecological means of transport can be demonstrated. The end of the 19th century and the beginning of the 20th century brought the worldwide urban electric rail transport – trams. The same was the case in České Budějovice, where the first trams were put into regular operation on 15 June 1909. 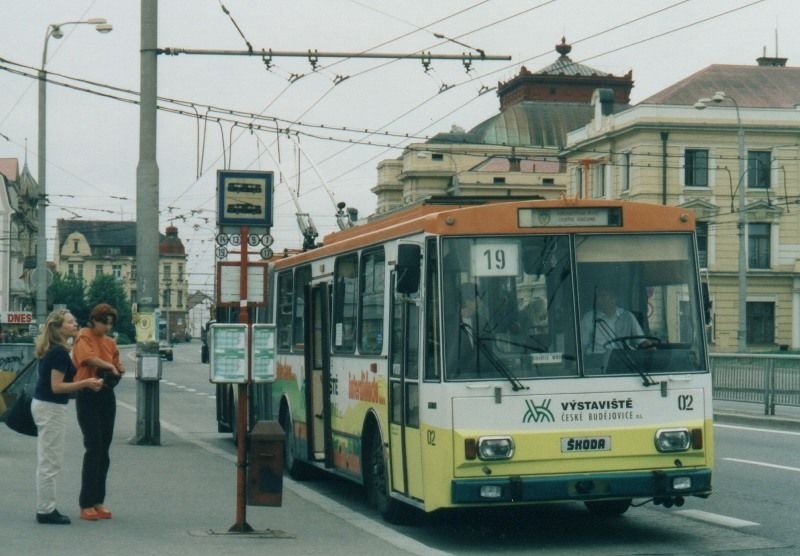 The adamance of Vienna officials C. and K. of the Ministry of Railways caused České Budějovice to become one of the first cities in the contemporary Czech Republic which introduced trolleybuses. It was because they did not want to allow two level crossing of the tram with railway in the section between the train station Staré Město (today’s intersection Pražská x Strakonická) and the cemetery of St. Odilia. And because the cemetery was far from the city, it was necessary to find a substitute solution. The combustion engine was still in its infancy in 1909, so an innovation of that time was chosen instead, the electric bus, which was then already travelling at the nearby conurbation Gmünd / České Velenice. The 1.6 km long line was completed as soon as in February 1909, but the first Daimler-Stoll trolleybus was not delivered until October of that year. 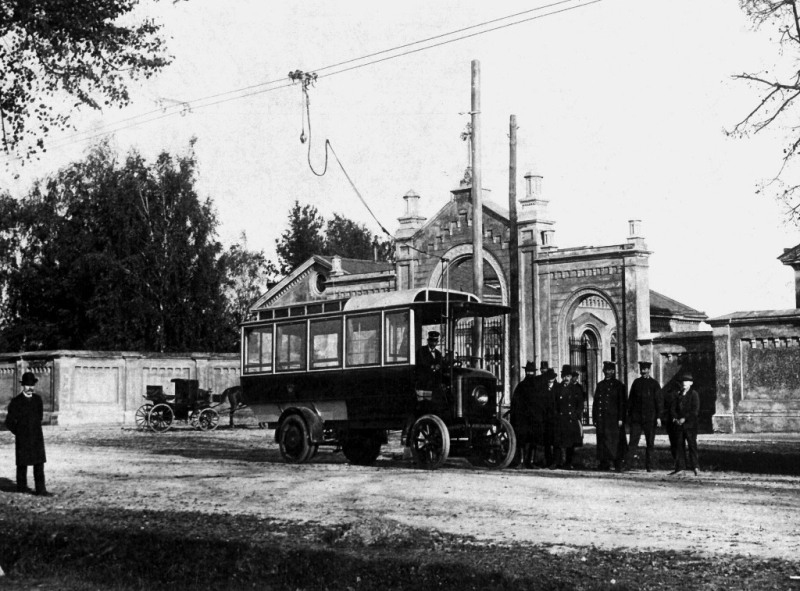 After the training of the drivers, the regular operation of the “cemetery trolleybus”, as the citizens called it, was commenced on 27 October 1909. The vehicles differed from the modern trolleybuses not only by their appearance, which more likely resembled a hybrid between a tram and a coach, but also by the way of electricity consumption. The vehicles did not have classical trolleys, but they were pulling behind a contact trolley over the wire connected by a long cable. The second vehicle was bought in Budějovice in 1911.With the outbreak of the First World War came the infamous end of the first trolleybuses in České Budějovice. On 1 August 1914, the operation was terminated and both vehicles were requisitioned by the army. After they were fitted with combustion engines, they served as freight wagons. One may only wonder whether the transport operation would last, even if the war would not break out. The first trolleybuses, as an idea, got ahead of the technical possibilities of their time, and the overwhelming majority of hundreds of similar operations in the world vanished in the early twenties of the last century. The greatest war conflict in the history of mankind, the Second World War, also affected the technical state of the České Budějovice tram system, which had been operating to the same extent since its establishment. After evaluating the costs of its renovation, the decision to replace technically and capacity unsuitable trams with trolleybuses, which, in the course of the 1930s, had progressed to a level of modern capacity means of transport, came in 1946. The construction of new trolleybus lines in České Budějovice started in 1947 and, on 28 October 1948, the operation was started on the first line marked “A” between today’s Senovážné Square and then separate village of Čtyři Dvory. On 6 August 1949, the first trolleybuses of Line “B” to the town of Rudolfov arrived and, for the first time, transported passengers on the “G” Line, which was the inner city ring via Palackého Square, Jírovcova, U Černé věže and Kanovnická streets to the railway station. A day later, the service was also started on Line “E” to Suché Vrbné. The feverish construction enabled on 11 September 1949 to commence the operation on Line “C” to the railway station Staré Město, where a tram had been going until then. However, due to a temporary lack of trolleybuses, it was operated in parallel there until February 1950. On 29 October 1949, the last Line “D” from the railway station to Rožnov and the extension of Line “C” to the cemetery of St. Odilia were put into operation, almost on the day exactly after 40 years when the first trolleybus came here. The network was thus completed. In 1952, trolleybuses also started accessing today’s Lanzova třída street, where all the passage lines were redirected from today’s Rudolfovská. By 19 October 1959, the network was extended for the last time as trolleybuses began accessing Nemanice. Finally, the lines were reorganised and the operation stabilised with four lines. 1 (Čtyři Dvory – Rudolfov), 2 (Nádraží – Nemanice), 3 (Rožnov – Suché Vrbné) a 4 (Nádraží – City Centre – Nádraží). In 1960, the trolleybus line around the Black Tower was cancelled, only to be renewed again in 1961, but this time it was only a one-way line. 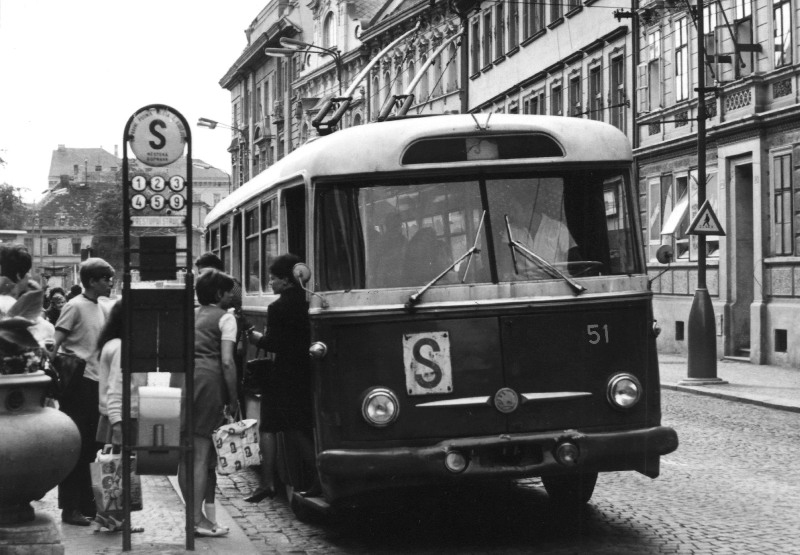 In the mid-1960s, the government of the Czechoslovak Republic decided to gradually reduce and remove most trolleybus and tram systems in the republic. 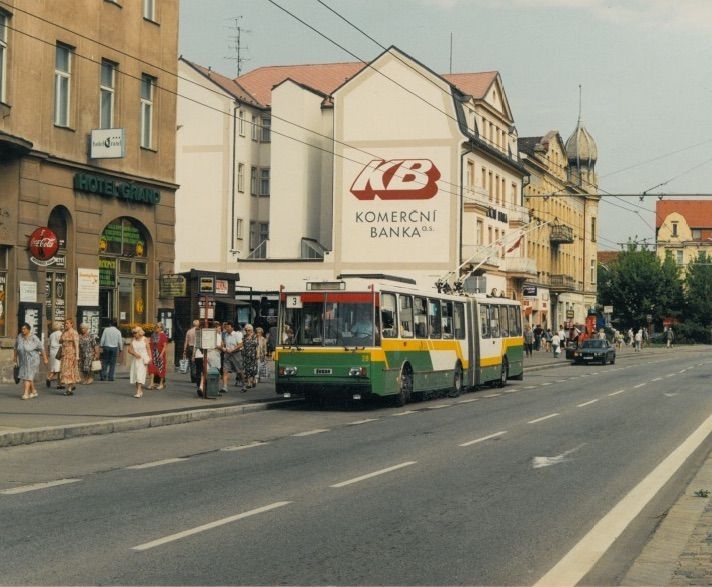 Among other things, it was due to serious disrepair of the overhead contact line and the general reconstruction of the streets that České Budějovice was one of the first cities to join the trolleybus abolition. On 24 March 1969, the trolleybuses were last going on Line 1, on 1 August on Line 2 and on 30 September of the same year on Line 4. The traffic on Line 3 was maintained longest, until 23 September 1971. A day later, the last “festive” ride took place. Since that day, for nearly 20 years, buses had dominated the city. 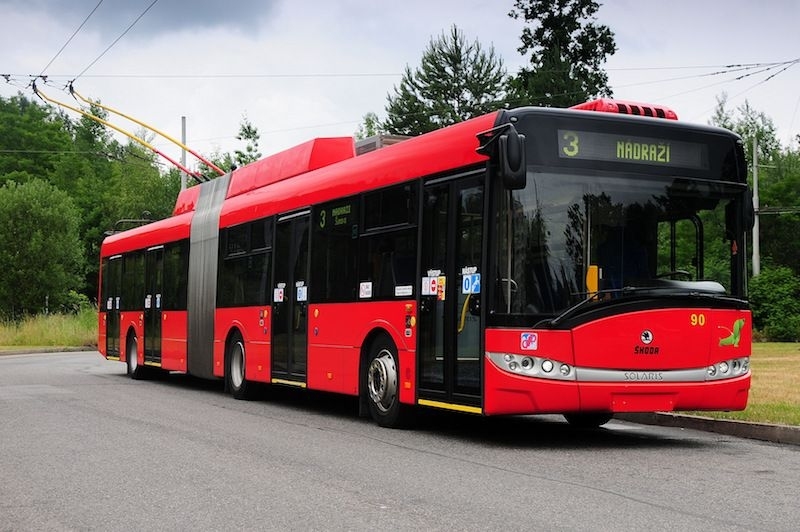 In the course of these 23 years, the operation was initially provided by French trolleybuses Vétra with electric equipment of ČKD, then Czech trolleybuses of the type Škoda 7Tr, 8Tr and 9Tr. 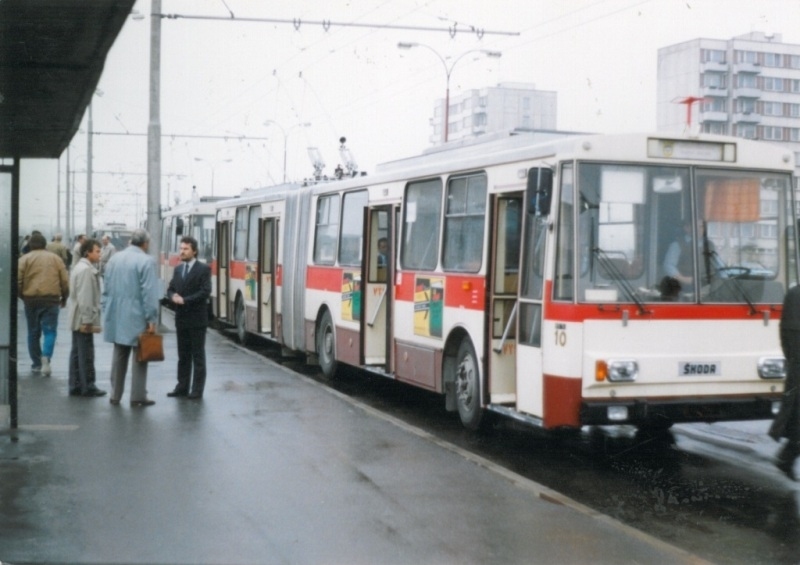 A short episode was the operation of used Tatra T400 trolleybuses. In the mid-70s, the cancellation of electric traction was clearly shown as a very wrong move. The oil crisis hit the world. Fortunately, the original intention remained only with the cancelled trolleybus systems in Prague, Děčín, České Budějovice and the tram system in Ústí nad Labem. 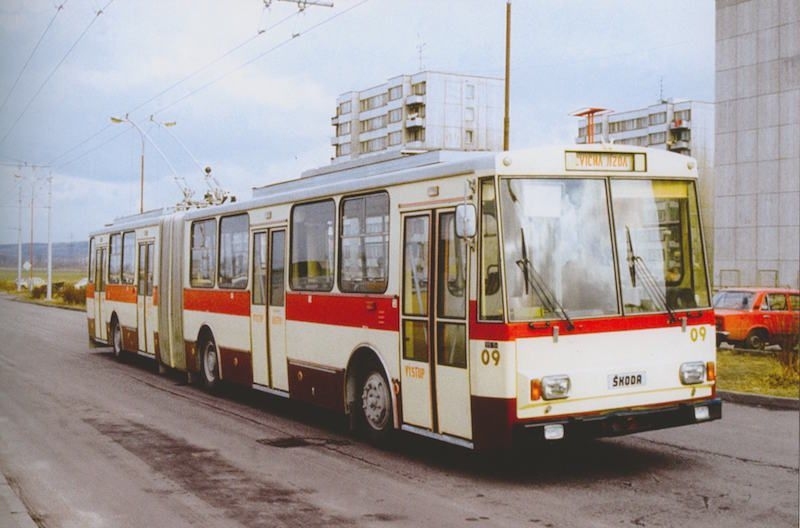 At the end of the 1970s, the Government of the Czechoslovak Socialist Republic (CSSR) created a new energy concept, contrarily consisting in the support and extensive construction of new systems, especially trolleybus ones. The list of almost 50 potential towns and cities included, besides for example Tábor, Třebíč or Kladno, also České Budějovice. The new energy concept brought mainly the decision to build a new nuclear power plant. From the many sites, Temelín was eventually selected. 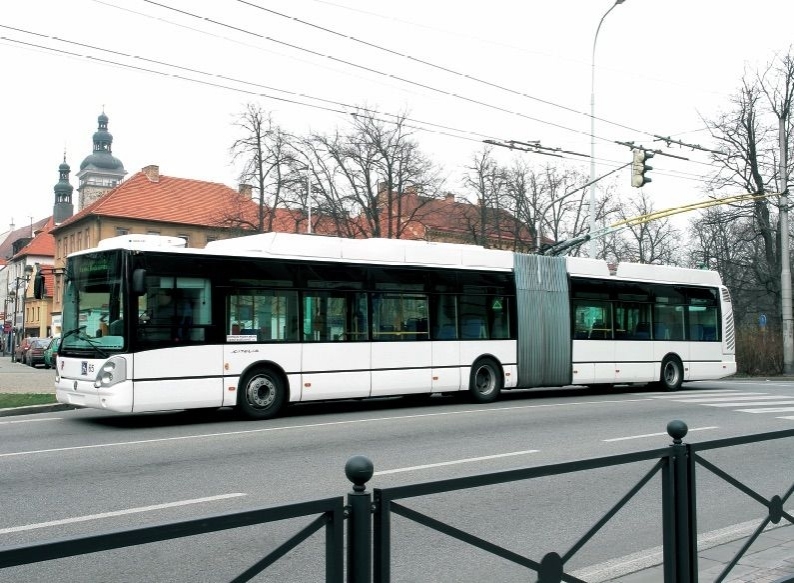 And it was in connection with the new power plant that the first serious talks were about the renewal of the trolleybus transport operation in České Budějovice. By April 1985, the plan for the construction of new lines was theoretically elaborated. Many would surely be surprised by the following entry when looking at archival documents: “1st Stage Temelín – Vltava housing estate”. 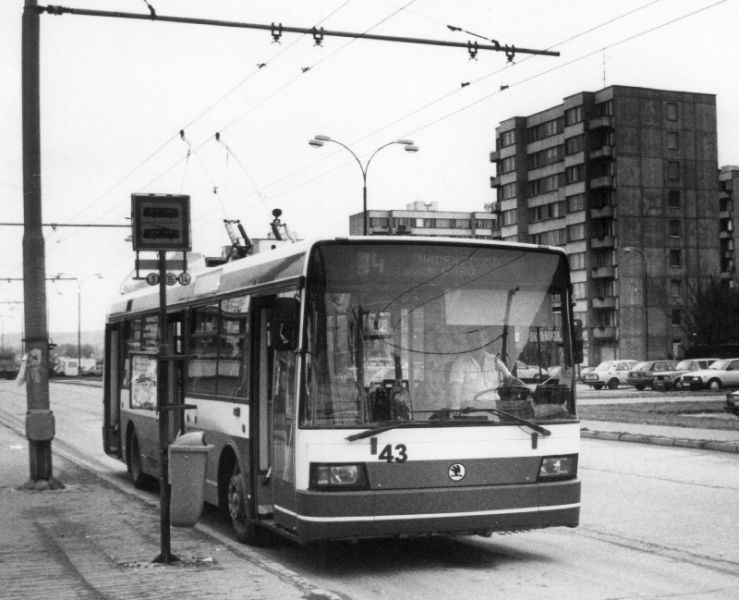 It is true that the construction site and later the nuclear power plant itself was to be connect with České Buďějovice by trolleybuses.It was assumed that a total of 15 articulated trolleybuses of the Škoda 15Tr type were to be deployed on the power plant line. In the second stage, the construction of lines connecting the Vltava housing estate, the Máj housing estate, the railway station and a new vehicle yard was to be performed, with its location being where it is today, i.e. in Horní Street. The third stage included the connection of Borek, Nemanice, Senovážné Square and Paper Mill. The fourth stage was to introduce trolleybuses to Igla, which was in the Hus colony. The fifth stage was aimed at electrifying Okružní Street to the main gate of Škoda. In the sixth stage, the trolleybuses were supposed to go to Suché Vrbné and both terminal stops in Rožnov. In the seventh stage, Rudolfov and České Budějovice were to be connected again by means of electric traction. 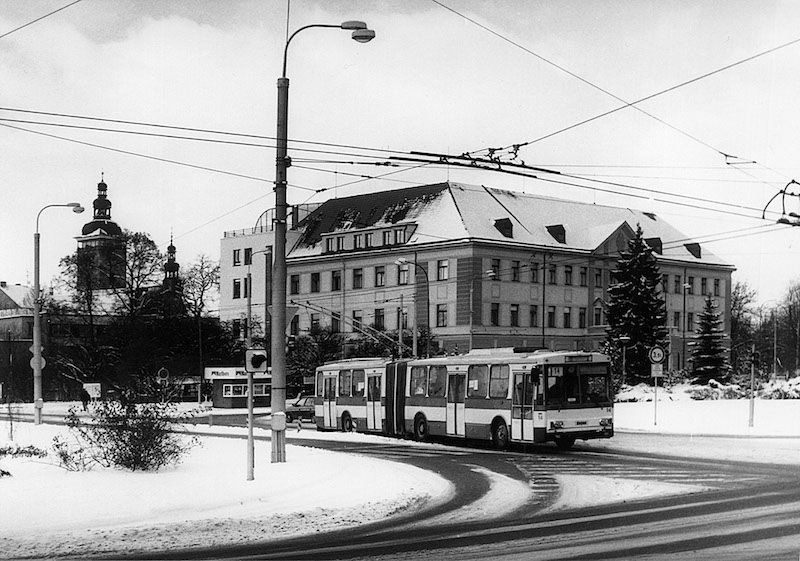 In the last eighth stage, trolleybuses were to connect the Pražské housing estate and the Havlíček colony. All lines were to include articulated vehicles of the type Škoda 15Tr, the line from the Pražské housing estate to Havlíček colony was supposed to have short Škoda 14Tr vehicles. Altogether, the fleet was to have an incredible number of 95 trolleybuses, 64 of which were scheduled to go around the city itself during rush hours, and the aforementioned 15 vehicles on the line to Temelín NPP. If all stages were to be implemented, the new operation would become one of the largest in the whole of Czechoslovakia. However, as early as 1986, a re-evaluation of the original plans was carried out, the line to the power plant was scrapped, and the funds were redirected to the restoration of the trolleybus system in the city. At the turn of the years 1988/1989, the restoration of the trolleybus system actually took place. The construction of a new vehicle yard in Horní Street, the reconstruction of many streets in the city (Husova, Nádražní), the construction of new substations, and the laying of power cables and installation of traction line poles was initiated. In 1990, the first trolley lines of Vltava – Výstaviště – Poliklinika Sever – Nádraží and Máj – Výstaviště – Poliklinika Sever – Nádraží were placed. In June of the same year, the first, cream-red-violet, trolleybus Škoda 15Tr07/7, Reg. No. 09, which was used to train mechanics, was delivered. Another 13 pieces of the same type (Reg. Nos. 01–08, 10, 11, 13–15) were delivered in September 1990, the first substation MR1 Čajkovského was put into operation in December. At the beginning of 1991, a unique vehicle with Reg. No. 12 arrived. Its type was identical to previous vehicles, but it was equipped with test auxiliary battery drive for going without trolley wires. 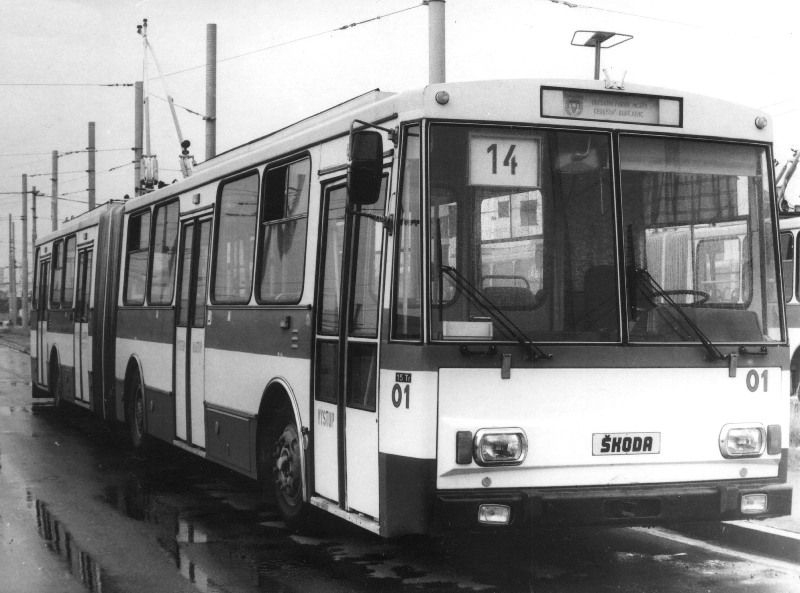 Between January 1991, when, after almost twenty years, the first trolleybus in České Budějovice moved by its own power, and February of the same year, the training of the first drivers took place on the line Vltava – Máj. Until April, the testing operation without passengers was also performed on the line towards the railway station, which was made possible by the March commissioning of the substation MR2 Jeronýmova. 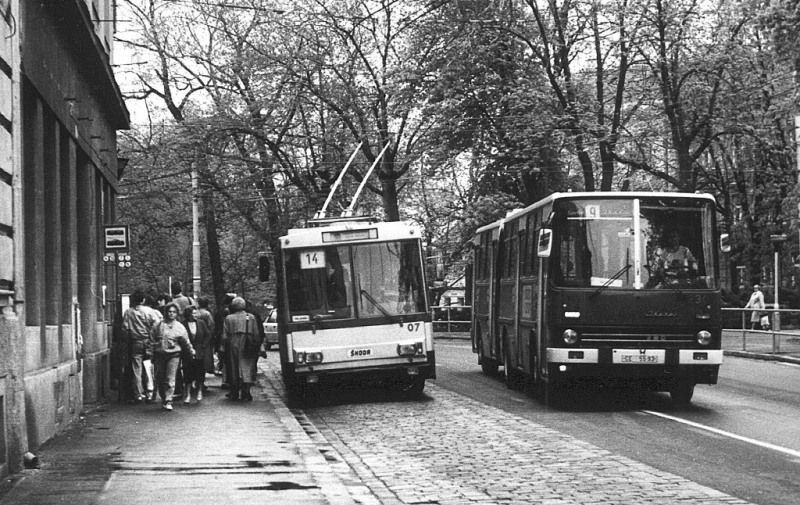 The very festive day, when the third trolleybus operation was commenced in České Budějovice on the Lines 14 (Vltava – Nádraží) and 17 (Máj – Nádraží), was on 2 May 1991. Early in the morning, the vehicle Reg. No. 02, Service No. 1/17, driven by driver Jan Kučera, set out as the first one. The official opening ceremony took place in the dull afternoon weather that same day at the terminal stop Sídliště Vltava. 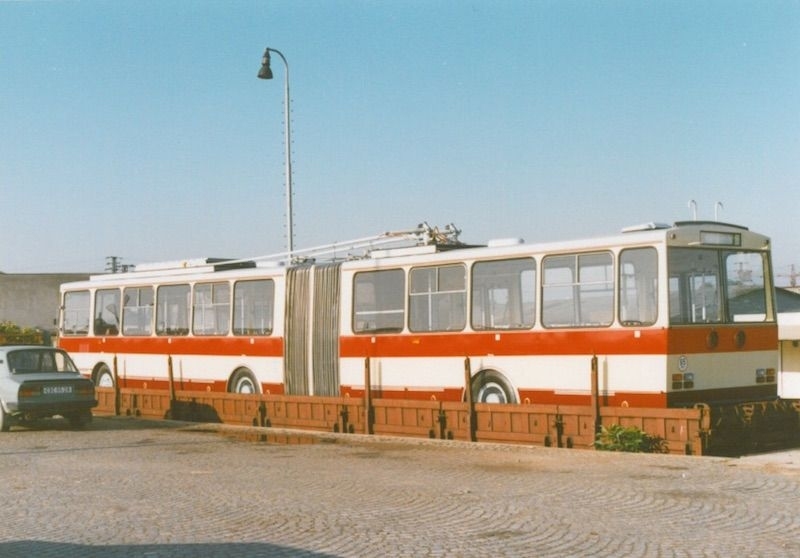 As the vehicle yard was not yet complete, trolleybuses were dispatched from the parking lot at Vltava housing estate until July. 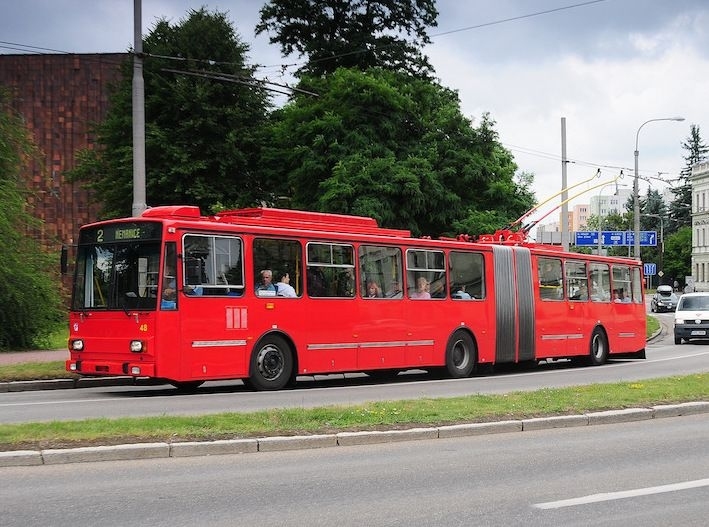 In September, the substation MR3 Pražská was put into operation, a month later, 25 new trolleybuses Škoda 15Tr10/7 Reg. Nos. 16–40 were delivered, and the Transport Company reached the largest traffic backups in history. It dispatched 7 vehicles, but there were 40 of them available. Newly delivered vehicles were characterised by an unusual green-yellow-white paint. These were the trolleybuses originally destined for Iran’s capital, Tehran. During the whole of 1992, the individual compounds of trolleybus yards were gradually completed. In June, the first section of Line 2 Borek – Nemanice – Rudolfovská – Nádraží was commenced, and in September, the remaining branch through Senovážné Square to Rožnov as well. In the same month, two cars 15Tr10/7 Reg. No. 41 and 42 arrived. The construction of other new lines was radically slowing down compared to the original plans, which was also due to the economic situation that took place in the early 1990s. Still, the bold intention also included trolleybuses to Rudolfov. At the end of 1995, the construction of the lines in Papírenská Street and Suché Vrbné was under way. The operation on Line 3 started in January 1996, and the construction of Jan Opletal and Branisovská Street lines began in parallel. In September of the same year, operation on Lines 15 (Vltava – Šumava – Papírny) and 19 (Máj – Šumava – Nádraží) was commenced. In 1998, due to the construction of a new bridge called Dlouhý, a line in Strakonická Street was build, where diverted trolleybuses were going, and which later became a very important part of backbone trolleybus lines. Between 1998 and 2000, a total of five solo low-floor trolleybuses Škoda 21Tr Reg. No. 43–47 were delivered. Since 1 January 2000, in connection with the introduction of a new check-in and information system, there were extensive changes in line routes. Line 3 newly went in the section Suché Vrbné – Máj housing estate, Line 14 did not go to the railway station, but rather to paper mill. Line 17 had been running in Strakonická and Line 19 was cancelled. With regard to the mass purchases of vehicles in the beginning of the nineties, the gradual overhaul of all 15Tr10/7 vehicles Reg. Nos. 16–42 took place in 2000, which was under way until 2010. 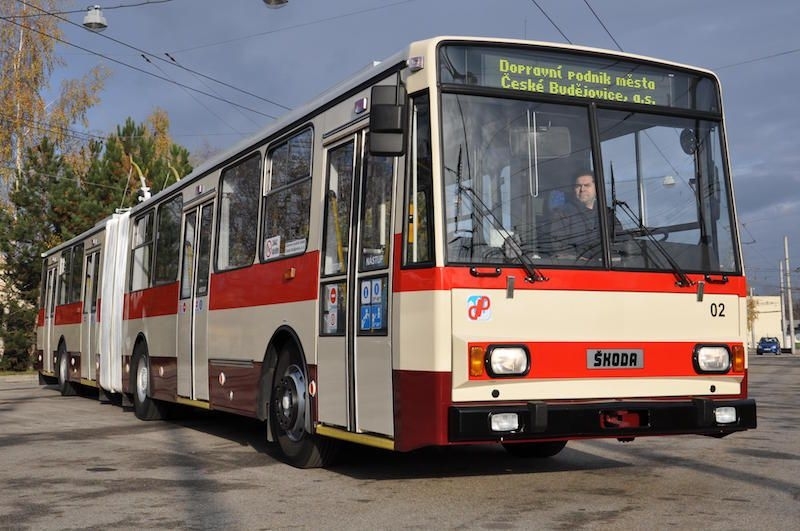 As the only Czech trolleybus manufacturer, Škoda Ostrov, was not able to offer an articulated low-floor trolleybus, a total of ten vehicles of an innovated series Škoda 15TrM were bought in the period 2002–2004. This allowed elimination of most of the oldest vehicles of the first series from 1990. As of 1 January 2004, a new line was opened in Pekárenská Street and a new substation MR4 in Husova colony was put into operation. It was accessed by the semicircular Lines 9 and 17 and the diverted Line 15. This concept, however, turned out to be an inappropriate solution, so from the following year, Line 9 was diverted from Vltava to Suché Vrbné, Line 17 to the original route and Line 3 was shortened to the railway station. Only Line 15 therefore remained in Pekárenská Street, until the autumn of 2009, when it was replaced by a diverted Line 17 after its cancellation. At the end of 2007, another new section Vltava – České Vrbné was opened, to which Line 9 was extended. 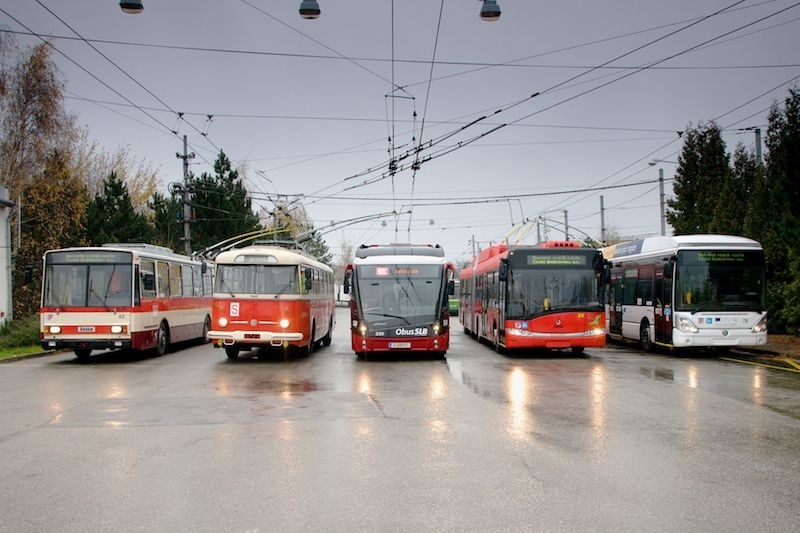 Since the end of 2005, the vehicle fleet has been renewed with articulated low-floor trolleybuses of the type Škoda 25Tr, with a total of 31 delivered by 2012 (the last 14 cars under a large project co-financed from EU funds). 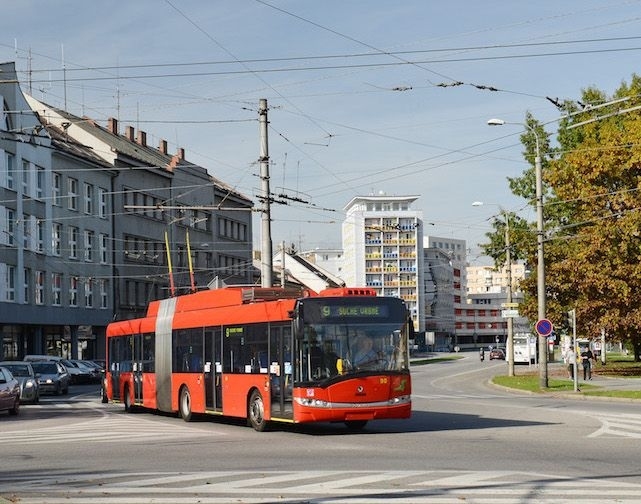 The latest extension of the trolleybus network is the line in the streets of Evžen Rošický and Milady Horákové in the newly developed city district, where the operation started in the spring of 2012. 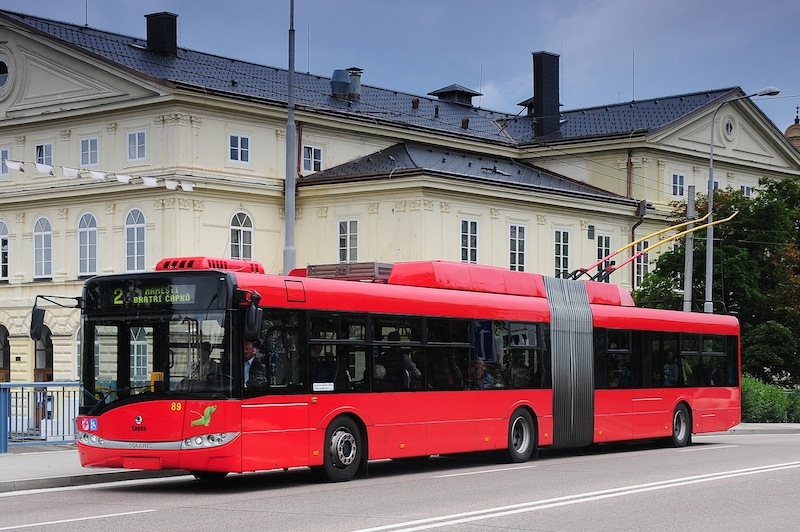 However, this was preceded by a major system change in June 2011, called New Public Transport System, implemented shortly after celebrations of 20 years since trolleybus transport renewal. 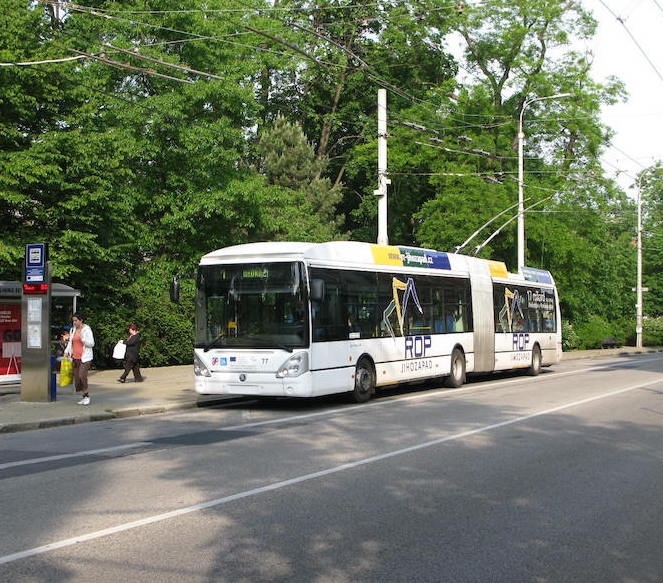 The new system is based on the newly-developed Public Transport Master Plan in České Budějovice for the period 2010–2020. New backbone lines have been defined, the basis of which is trolleybus transport with regular shuttle intervals and frequented capacity connections. The significance of electric traction and its share in overall traffic and especially transport performance has therefore increased. The latest addition to the trolleybus fleet is the modern low-floor trolleybus Škoda 27Tr, which was delivered at the end of 2013. 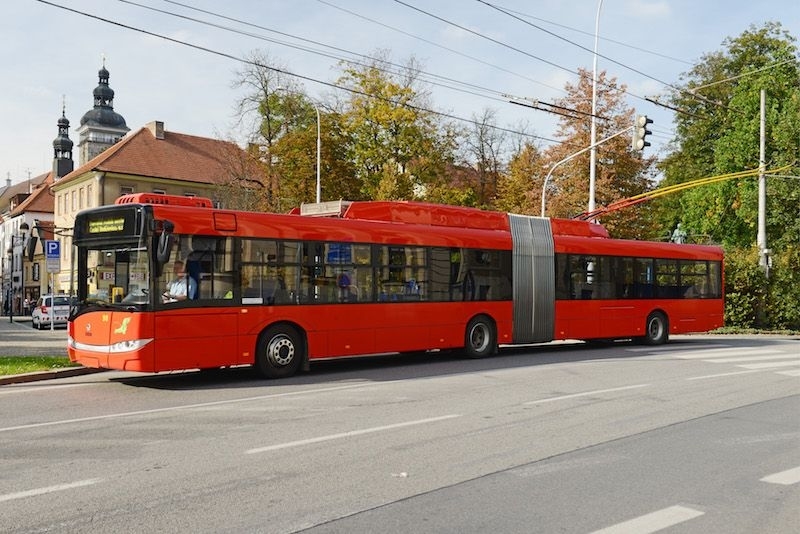 In this year’s jubilee year, two more vehicles of this type will be acquired with top equipment – this will be the first Budějovice trolleybuses with air conditioning for passengers and auxiliary accumulators, which will make it possible to reach up to 10 km without trolley wires. These are innovations that will help to increase the comfort and reliability of the trolleybus transport in the South Bohemian metropolis. 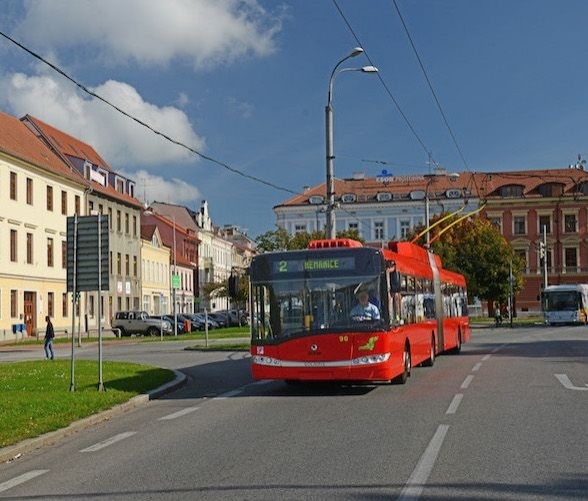 Symbolically, trolleybuses in České Budějovice enter into their second quarter century as a modern and sustainable system with a very good perspective.